There are a total of 1182 Freshwater Ramps. There are a total of 623 Saltwater Marine Ramps. There are 67 Florida Counties which have Boat ramps. ShrimpNFishFlorida™ has put together a comprehensive list of ALL your local Florida Boat Ramps for our Club and Forum Members. We make finding your local Boat Ramps easier, we listed all Florida's Boat ramps by County and body of water. Working along with Florida's property Appeasers offices and other government agency's we were able to compile this “EXCLUSIVE” list of all Florida’s Public Boat Ramps. It took months in the making to research all Florida’s Boat Ramps and to Compile this list for our members convenience. 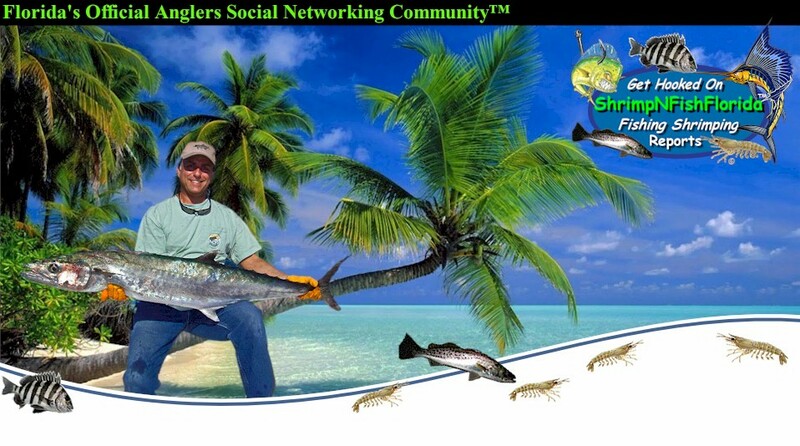 And can only be found here on ShrimpNFishFlorida™’s website. Below is a Complete List of ALL 1,805 of Florida’s Public Boat Ramps by County. There are 15 Boat Ramps in Alachua County. There are 6 Boat Ramps in Baker County. There are 43 Boat Ramps in Bay County. There are 57 Boat Ramps in Brevard County. There are 54 Boat Ramps in Broward County. There are 10 Boat Ramps in Calhoun County. There are 20 Boat Ramps in Charlotte County. There are 29 Boat Ramps in Citrus County. There are 13 Boat Ramps in Clay County. There are 57 Boat Ramps in Columbia County. There are 5 Boat Ramps in DeSoto County. There are 26 Boat Ramps in Dixie County. There are 39 Boat Ramps in Duval County. There are 32 Boat Ramps in Escambia County. There are 10 Boat Ramps in Flagler County. There are 64 Boat Ramps in Franklin County. There are 10 Boat Ramps in Gadsden County. There are 15 Boat Ramps in Gilchrist County. There are 18 Boat Ramps in Glades County. There are 20 Boat Ramps in Gulf County. There are 20 Boat Ramps in Hamilton County. There are 9 Boat Ramps in Hardee County. There are 6 Boat Ramps in Hendry County. There are 11 Boat Ramps in Hernando County. There are 56 Boat Ramps in Highlands County. There are 30 Boat Ramps in Hillsborough County. There are 7 Boat Ramps in Holmes County. There are 18 Boat Ramps in Indian River County. There are 23 Boat Ramps in Jackson County. There are 12 Boat Ramps in Jefferson County. There are 15 Boat Ramps in Lafayette County. There are 65 Boat Ramps in Lake County. There are 43 Boat Ramps in Lee County. There are 25 Boat Ramps in Leon County. There are 21 Boat Ramps in Levy County. There are 23 Boat Ramps in Liberty County. There are 10 Boat Ramps in Madison County. There are 35 Boat Ramps in Marion County. There are 17 Boat Ramps in Martin County. There are 33 Boat Ramps in Miami-Dade County. There are 52 Boat Ramps in Monroe County. There are 33 Boat Ramps in Okaloosa County. There are 15 Boat Ramps in Okeechobee County. There are 28 Boat Ramps in Orange County. There are 20 Boat Ramps in Osceola County. There are 45 Boat Ramps in Palm Beach County. There are 13 Boat Ramps in Pasco County. There are 45 Boat Ramps in Pinellas County. There are 136 Boat Ramps in Polk County. There are 29 Boat Ramps in Putnam County. There are 26 Boat Ramps in St. Johns County. There are 17 Boat Ramps in St. Lucie County. There are 42 Boat Ramps in Santa Rosa County. There are 23 Boat Ramps in Sarasota County. There are 13 Boat Ramps in Seminole County. There are 17 Boat Ramps in Sumter County. There are 16 Boat Ramps in Suwannee County. There are 25 Boat Ramps in Taylor County. There are 5 Boat Ramps in Union County. There are 57 Boat Ramps in Volusia County. There are 24 Boat Ramps in Wakulla County. There are 41 Boat Ramps in Walton County. There are 46 Boat Ramps in Washington County. Our entire list of all Florida’s Boat Ramps, Piers, Bridges, Docks and Seawalls took months to research and compile and is ©copyrighted material of ShrimpNFishFlorida™ and may not be copied or posted on any other site.